Differentials are found in all cars. Sometimes a differential may be found on the rear side of a vehicle and sometimes it’s found on the front side. Some cars even have differentials on both ends. If you have a front differential in your car with a transaxle built in, then the rear differential will use a different type of oil. Usually, when a vehicle has a front differential with a built-in transaxle, it will require a fully synthetic oil (like Oil SAE 75 to 85). As for the rear differential, it will need a thicker oil that’s around SAE 90. How Often Should the Rear Differential Fluid Be Changed? The recommendation of most car manufacturers is that you change your rear differential fluid about every 30,000 miles to 50,000 miles. Look at the owner’s manual of your car to find the exact mileage amount. When you are ready to change the fluid, have a licensed mechanic do it so that you don’t mess anything up. It is a dirty job and the differential fluid needs to be thrown away properly. Plus, a new gasket will need to be installed and the differential housing parts will have to be cleaned of any existing contaminants that may still be there from the older fluid. That way, these contaminants won’t get mixed into the new fluid and cause problems there. How Often Should the Front Differential Fluid Be Changed? If you have a manual transaxle built in together with your front differential, then pay attention to the answer to this question. 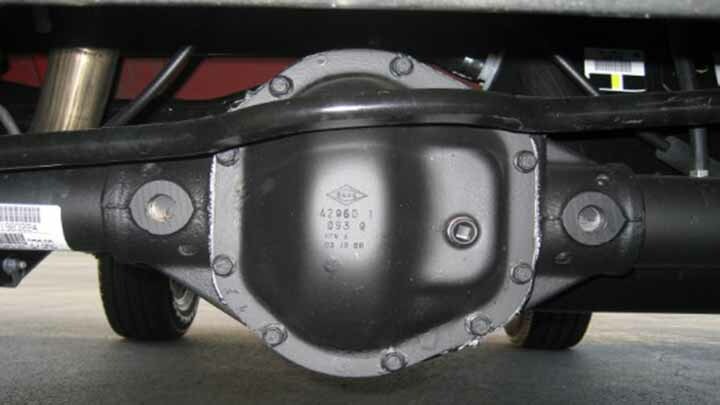 Your front differential fluid needs to be changed around every 25,000 to 30,000 miles. Again, check the owner’s manual to confirm the exact mileage amount. After the differential fluid is drained, it will be changed right along with the manual transaxle. And like the rear differential, the front differential fluid should only be changed by a licensed mechanic. If you are knowledgeable in changing differential fluid, you can do it yourself but be prepared to undergo a messy job. While a drain plug exists in some rear differentials, other rear differentials have a housing cover that needs to be removed instead. Either way, have a wide catch pan ready with a plastic drop cloth underneath it. Turn on your vehicle and drive it around the block for a couple of minutes so that the oil can be warmed up. Then, change into some work clothes and get ready to get dirty. Of course, you could just hire a technician and save yourself the trouble of getting dirty. Plus, going to a professional will ensure the job is done right so that you have more safety and less risk of mistakes being made.